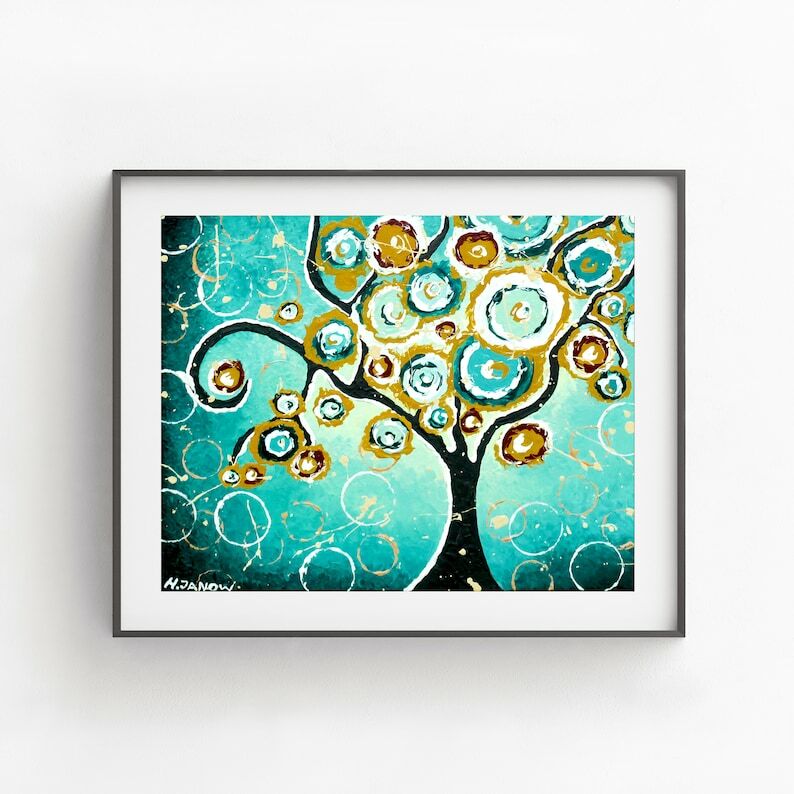 Originally a painting, this Whimsical Tree of Life Giclee Print features beautiful turquoise/teal blue color hues and watercolor-like style of painting. The artwork is inspired by the Tree of Life concept, the idea that all life on earth is interconnected. The print is perfect for any modern interior where it can be enjoyed everyday. *Long lasting, fade resistant and smudge resistant! This tree print is printed by me in-house using Epson's archival ultrachrome pigmented inks, which are guaranteed not to fade for at least 100+ years under glass, on a 100% cotton rag, museum quality, acid-free, archival, bright white Velvet Fine Art Paper. Decor Idea: Multiple prints, for example, can be used to create beautiful wall collages like shown in the last picture. Your choice of frames, your arrangement! © Copyright 2018. Helen Janow Miqueo. All rights reserved. The image of this artwork and the artwork itself cannot be copied, altered, or distributed in any form. Any derivatives, attempted imitation of artwork, duplication/editing of photos is expressly forbidden under Copyright Laws.